Kick off your marriage with a lasting impression. 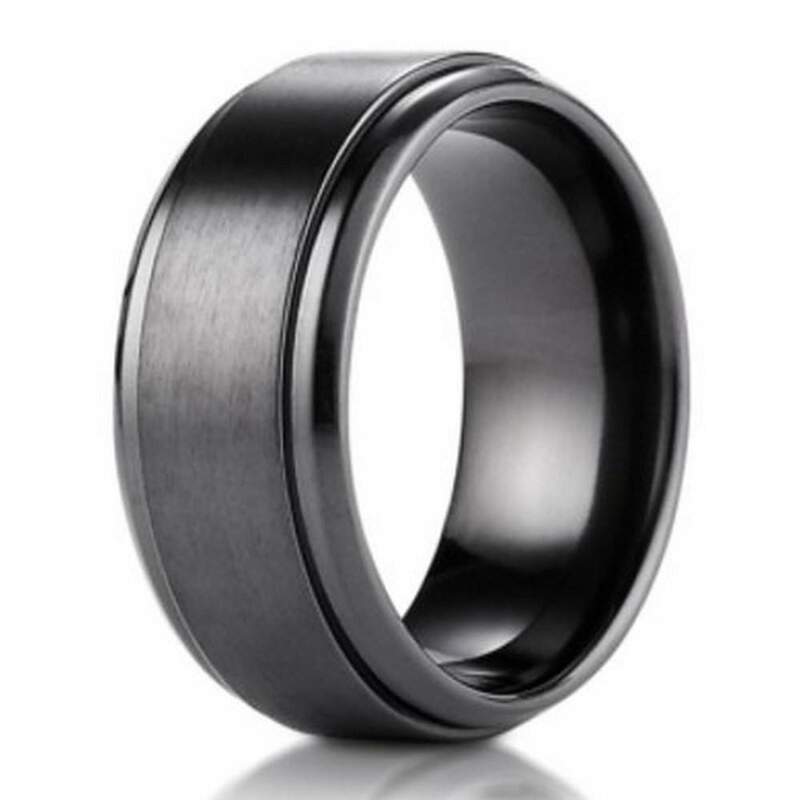 Our black titanium benchmark men’s wedding ring with stair-step edges is unsurpassed in quality and sheer sophistication. This designer accessory features a stunning satin finish and exquisite attention to detail upon further inspection. Made of superior aircraft-grade titanium, our 9mm black titanium benchmark men’s wedding ring with stair-step edges provides superior resistance to wear and tear, which is great news for men that work with their hands or aren’t afraid to roll up their sleeves. Titanium is used in a wide variety of aeronautical applications because of its durability. Better yet, your wedding band won’t corrode, scratch, or lose its color. We even offer free engravings up to 30 characters in length. Add a special message to the interior of your ring! Every modern groom deserves a bold and distinctively masculine statement piece that makes him feel and look his absolute best. Our black titanium benchmark men’s wedding ring with stair-step edges is certainly up to the task. 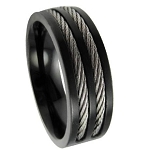 We design each 9mm black titanium benchmark men’s wedding ring with stair-step edges in the comfort fit style because it will be easy to remove in the event of an emergency. Comfort fit rings usually measure a half size smaller than standard rings, so we recommend that you have your finger sized by a professional jeweler to determine whether a comfort fit ring is right for you and your lifestyle. If you have any questions about this product or our engraving services, please contact JustMensRings.com by calling, texting, or emailing us for further assistance.